I’ve seen some comments on social media about this recent court decision — click the image to read about it. 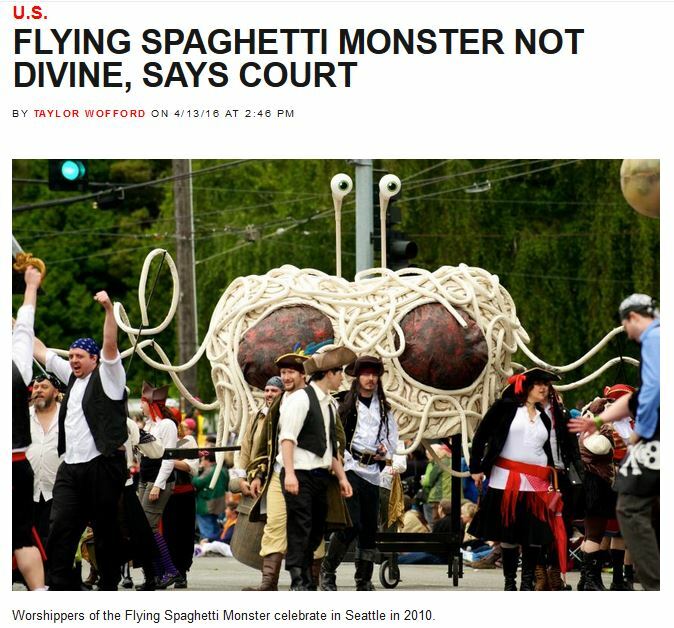 (If you don’t know much about Pastafarianism then go here.) As a scholar of religion interested not so much in studying religion but, rather, in studying those who use the term to accomplish practical social work (by classifying this or that as religion [or not! ]), I admit that I can be a little disappointed when I see other scholars of religion chime in about such decisions. For by failing to see the term “religion” as a rhetorical device, as a tool some people use to manage social life by naming, distinguishing, and then ranking assorted items, scholars often unwittingly enter into debates over what religion really is (or isn’t).